Joseph V. DeMarco specializes in resolving disputes between businesses involving information privacy and security, cybercrime, theft of intellectual property, computer intrusions, on-line fraud, and the use of new technology. He also has significant experience as an independent monitor and a special master, and has also served as an expert witness. His years of experience in private practice and in government service handling the most difficult cybercrime investigations, litigations, arbitrations, and prosecutions have made him one of the nation's leading experts on Internet crime and the law of data privacy and security. 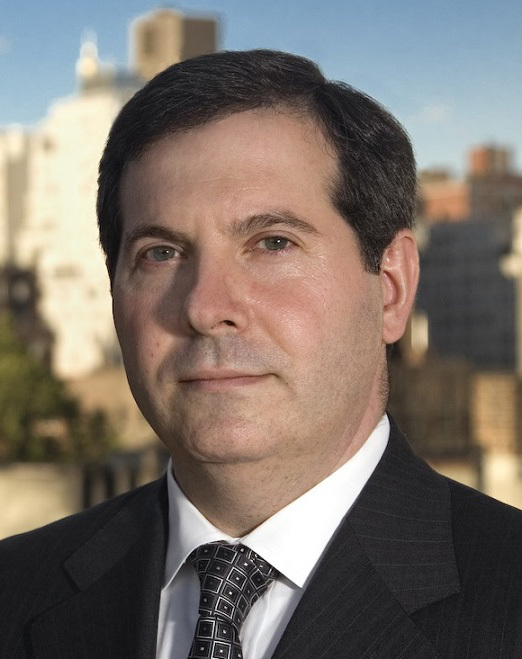 From 1997 to 2007, Mr. DeMarco served an Assistant United States Attorney for the Southern District of New York, where he founded and headed the Computer Hacking and Intellectual Property Program, a group of prosecutors dedicated to investigating and prosecuting violations of federal cybercrime laws and intellectual property offenses. Under his leadership, cybercrime prosecutions grew from a trickle in 1997 to a top priority of the United States Attorney’s Office, encompassing all forms of illegal activity affecting e-commerce and critical infrastructures including computer hacking crimes; transmission of Internet worms and viruses; electronic theft of trade secrets; web-based frauds; and criminal copyright and trademark infringement offenses. As a recognized expert in the field, Mr. DeMarco was also frequently asked to counsel prosecutors and law enforcement agents regarding novel investigative and surveillance techniques and methodologies. In 2001, Mr. DeMarco served as a visiting Trial Attorney at the Department of Justice Computer Crimes and Intellectual Property Section in Washington, D.C. where he specialized in criminal IP enforcement, internet gambling, and transnational cybercrime and data privacy issues. In 2007, following his departure from federal service, Mr. DeMarco founded DeVore & DeMarco LLP, a boutique law firm addressing the legal challenges posed to corporations and other organizations by cybercrime and the use (and misuse) of data, systems. and technology. He has handled governmental regulatory enforcement actions, investigations on behalf of corporate victims of cybercrime, and civil litigations between businesses focused on technology and information security and data privacy. Mr. DeMarco’s clients come from various industries, including highly-regulated sectors such as finance and critical infrastructure. Many matters on which he is retained have significant multi-national dimensions. He has subject-matter expertise in ADR and is on the panel of approved neutrals of the American Arbitration Association (AAA) and Federal Arbitration, Inc. (FedArb). As a neutral, he has adjudicated disputes between businesses which center on data privacy and security, high-technology, and commercial law issues. He speaks and writes frequently on the benefits of resolving high-technology controversies through ADR frameworks. Mr. DeMarco has served as a federal court-appointed Special Master overseeing adverse parties’ contested access to and use of electronic storage media. On a small number of occasions, he has served as an expert witness in foreign and domestic litigations. In the area of Independent Monitorships, Mr. Demarco has extensive experience, both from his service in federal government overseeing monitors as part of criminal prosecutions as well as in private practice where he has worked on monitorships at the federal and state level involving high-technology, cybersecurity and ecommerce issues. He is on the list of approved Integrity Monitors maintained by the New York City Department of Investigation. Since 2002, Mr. DeMarco has served as an adjunct professor at Columbia Law School, where he teaches the upper-class Internet and Computer Crimes seminar. He has spoken throughout the world on cybercrime, e-commerce, and IP enforcement, including at the Practicing Law Institute, the National Advocacy Center, and the FBI Academy. He has also served as an instructor on cybercrime law to judges at the New York State Judicial Institute and was retained by the United States District Court for the Southern District of New York to develop their mobile device and laptop policy for lawyers appearing in that Court. Prior to joining the United States Attorney’s Office, Mr. DeMarco was a litigation associate at Cravath, Swaine & Moore, where he concentrated on intellectual property, antitrust, and securities litigation. Between law school and Cravath, Mr. DeMarco served as a Law Clerk to the Honorable J. Daniel Mahoney of the United States Court of Appeals for the Second Circuit. Mr. DeMarco is a Martindale-Hubbell “AV”-rated lawyer for Computers and Software, Litigation and Internet Law, and is listed in Chambers USA: America’s Leading Lawyers for Business in Privacy and Data Security law. He has been named as a “SuperLawyer” in Intellectual Property Litigation, and is also listed in LawDragon 500. He is a member of the Professional Editorial Board of the Computer Law & Security Review, serves on the Board of Advisors of the Center for Law and Information Policy at Fordham Law School, and is a member of Business Executives for National Security. Mr. DeMarco has received numerous professional awards, including the U.S. Department of Justice Director’s Award for Superior Performance and the Lawyer of Integrity Award from the Institute for Jewish Humanities. He is a resident of Greenwich, Connecticut, and is involved with and supports numerous volunteer and charitable organizations including the Police Athletic League (“PAL”), the Order of Malta, the Inner-City Scholarship Fund of the Archdiocese of New York, the Greenwich Historical Society, and Greenwich Public Schools Parent-Teacher Association. In addition to parenting, he enjoys hiking, golf, squash, and listening to classical piano music.